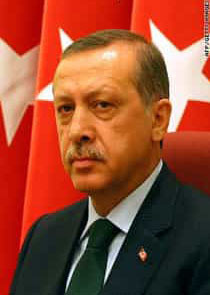 Turkey’s President Erdogan Threatens to Wipe Out the Jews. For the most part we here in Israel don’t understand why Netanyahu continues trying to foster a relationship with this evil man. He openly supports Iran, Hamas, Hezbollah and ISIS. He hates Israel and on many occasions makes known his wish for the total destruction of Israel. This evil man has joined forces with Russia and Iran to come against Israel through Syria in fulfilment of Ezek. 38:5. Folks if you are not saved, prayed up, and ready now is the time to get really serious about your relationship with God. Europe is finished. There is no longer any hope for any independent sovereign countries in Europe. Their cowardly Leaders have given it away to Islam and there is now no way to turn back. There is no future for Jews there and before long that will go for Christians as well. Their unholy book the Quran says that they must either convert or kill the People of the Book “Jews and Christians”. They say it this way, first Saturday then Sunday. Meaning first the Jew then the Christian. Quran 9:33 The “The religion of Truth” (Islam) must prevail, by force if necessary, over all other religions. There are dozens of these verses that are read in every Mosque around the world even the so-called moderate ones. Over 10 years ago I began telling everyone who would listen that Islam would take over all of Europe but many called me crazy. Yet today they see it happening rapidly and while Muslims are beheading and killing Christians around the world Churches continue to sleep, or in some cases have spiritually died. Even in the good ole USA Islam is making its move in the schools, universities and colleges as well as infiltrating the major News Media. The FBI and CIA both openly report that there are dozens of Islamic terrorist camps operating throughout the US yet they do nothing to take them down. Once again we are hearing sirens daily as missiles are coming out of Gaza, Sinai and Syria. We hear all the Leaders of Hamas and Hezbollah and most of the Arab world telling the so-called “Palestinians” to begin the third Intifada. That is of course is very troubling to Israel but not nearly so important as what we see happening with Turkey, Syria, Iran and Russia building up military, missile and air force bases on our northern border. Russia is also building a giant naval station on the Syrian Coast just to our north. Saudi Arabia too, being such a great friend of the US, is being supplied with the latest weapons both planes and missiles. It seems that the US is blind to what is happening in their schools with Saudi Arabian influence moving into classrooms across the country with their Wahhabi Islam, brainwashing the children with the same Muslim teaching that controls the Muslim Brotherhood. It seems to me that the Islamic World, Russia, China, North Korea and Iran are all waiting on the moment when all hell will break loose. As for Hezbollah and Hamas they are totally controlled by Iran and it will all happen at the same time. The winners will be the survivors not so much those who were the strongest. Israel will survive and the Messiah will plant his feet on the Mount of Olives, the prophetic Word of God will continue and the Devil will be defeated once and for all. Isa. 11:11 And it shall come to pass in that day, that the Lord shall set his hand again the second time to recover the remnant of his people, which shall be left, from Assyria, and from Egypt, and from Pathros, and from Cush, and from Elam, and from Shinar, and from Hamath, and from the islands of the sea. We are at this time but a small part of God’s calling to gather the Jews of Europe as they will be running for their lives with no other way to Israel but by boats. How many we will we able to save depends on the response to the Holy Spirit’s move in the lives of those called to be part of this ministry. Our boats are ready, but our provisions are not. Much is needed for fuel and a long list of items needed for rescue. We are in need of building up provisions here on land in Israel for we will be returning with many with great needs as well. The Devil has been very busy trying to destroy our financial base as he knows without it there is little we will be able to accomplish. There has never been a time when you were more needed. Once the fireworks begin the preparation time is over.